I notice a castle at Skipsea which I did not go in. Apparantly, William the Conqueror gave the land to one of his knights, Drogo de la Beuvriere who built the castle. He later killed his wife and her ghost, the “White Lady” is said to haunt the village. I leave Skipsea by the main road and make my way to Atwick. I walk to the beach and along the cliff tops past caravan sites towards Hornsea. As I approach Hornsea there quite a few fishermen on the beach despite the cold blustery weather. Hornsea has a promenade, nicely laid out gardens and Victorian buildings. It’s another town with a history of smuggling where contraband was stored in the vaults of the local church. It was also once known for its pottery production which only closed down in the year 2000. 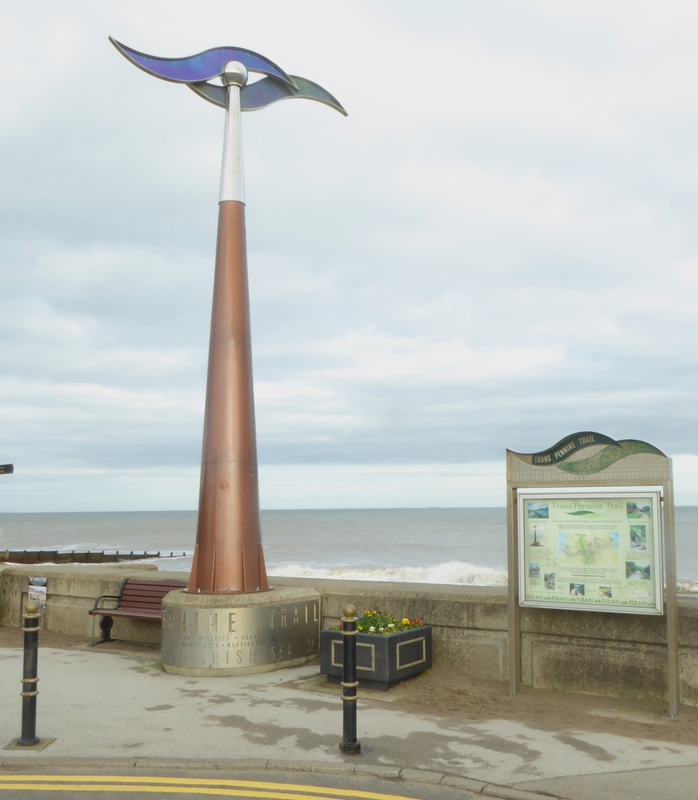 Hornsea is also the start of the Trans Pennine Trail which goes to Southport on the west coast, about 215 miles which is open to cyclist, walkers and horse riders. They reckon that the route is about 60% traffic free. My walk along the beach was thwarted by the tide so I walk past another caravan site onto the cliff tops. I follow what looks like a path even though there are warnings about cliff falls, but keeping well away from the edge. I continue on through Mappleton to Aldbrough where I finish for today. This entry was posted in East Yorkshire, England and tagged Coastal Walking, England, Hornsea, Skipsea, Trans Pennine Trail, Walking. Bookmark the permalink.